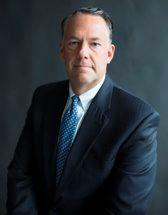 Aaron has been practicing law at McCrea & McCrea since 1997. Aaron’s main focus at McCrea & McCrea is family law, including divorce and child related issues such as child custody and support. Aaron is a member of the Indiana State and Monroe County Bar Associations and serves as a court appointed guardian ad litem and judge pro tempore. Aaron has also enjoyed working with his father over the past 20 years representing teachers and their families through the Indiana State Teachers Association (ISTA). Aaron has spent his life in Bloomington having graduated from Indiana University Bloomington in 1994 and the Indiana University School of Law Bloomington in 1997. Aaron is married with two children, ages 11 and 9. When he is not working, Aaron enjoys attending his sons’ athletic and school events, traveling with his family, and spending time with friends.